Landscaping requires long hours on your feet to transform the natural terrain into something unique. Whether you’re working on a small garden or designing an outdoor living space from the ground up, you’ll likely have to deal with thick mud, slippery concrete, heavy machinery, and sharp tools. Furthermore, your work flow and safety are at the whims of Mother Nature. 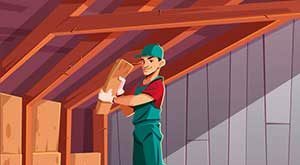 With all the hazards that will be present on your work site, you need to ensure that you’re well-equipped to stay safe. A quality pair of work boots can make all the difference. They’re a must-have piece of gear that can keep you safe while increasing your productivity. 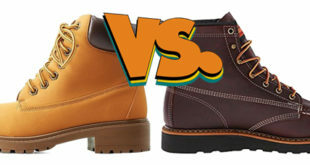 These heavy-duty boots from Timberland are built for working in grimy situations. The Pitboss boots are made from a durable leather that’s available in three different colors. Reinforced stitching throughout ensures that the boots hold their shape no matter what. The shaft rises 5.5 inches up from the shaft The 1.5-inch soles are synthetic. They’re designed to be resistant to slips and oil. Inside the boots is a cushioned footbed with an anti-microbial cover. The midsole is made from polyurethane. It can help wick away sweat while absorbing some shock as you walk. 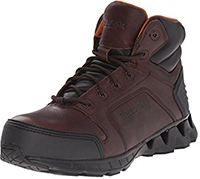 If you’re looking for something more athletic, these boots from Reebock may be a great option. They have a sporty design while including a variety of safety features for the working man. The uppers are made from leather and include a wide toe cap made from composite material. There’s no metal in the boots, so they can be worn while completing electrical work. The slip-resistant sole is made from rubber and has a built-in stabilizer shank made from strong TPU. Both the midsole and footbed are made from injected EVA for comfort. 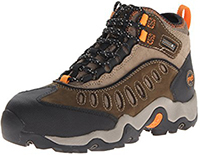 Made for trekking through the mud, these boots from Timberland are great for landscaping professionals. The uppers are made from nubuck leather. For an added layer of protection, the boots also have a lining that’s water impermeable. A mesh lining helps to prevent bacteria growth. The boots feature a lace closure system that helps you get a snug fit while the rear pull loops help you get them on quickly. There’s also a nylon shank built inside the rubber sole for stability. 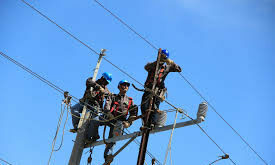 Overall, the boots meet ASTM standards for electrical hazards. With its sleek design and cool colors, you may think that these boots are made for athletes. However, hidden within the brightly-colored leather uppers are features that can keep you safe on the job site. The synthetic soles are designed to absorb shock and reduce fatigue. Cement construction is used to achieve a strong bond to the uppers that remain flexible. An alloy steel toe and fiber shank are used for safety and support. The lack of metal in the shoe also protects you from electrical shock. 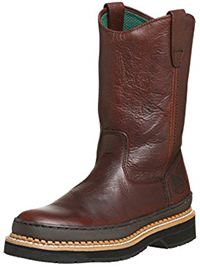 These boots from Irish Setter have a Wellington design that lets you trudge through deeper water. It has a high shaft that measures 11.5 inches from the arch. 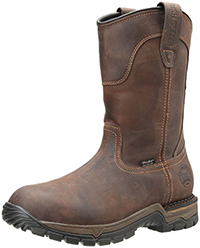 The full grain leather uppers are waterproof and resistant to abrasive and heat damage. A Vibram sole is used for traction while StableFlex technology helps to keep you upright. The opening measures 15.5 inches around. Coupled with the pull-up bootstraps on either side of the shaft, you can easily slip these boots on and off at a moment’s notice. 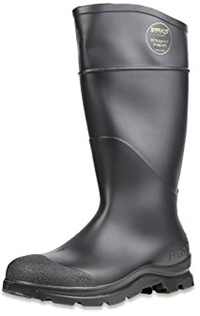 Another Wellington-style option, these boots can get you through any wet terrain. They’re a simple choice with a soft toe and tall shaft that measures 10 inches from the arch. The uppers are made from leather. The soles are rubber and utilize a notched design that helps to improve flexibility as you walk. It also utilizes Goodyear welt to get a tight water seal. The system is repairable for easy maintenance. A steel shank is built in for stability. The insole is cushioned and covered for convenience. Made from a strong PVC compound material, these boots from Servus Comfort can keep you safe and dry. The shape of the boots is achieved through injection molding. They’re completely waterproof and designed to resist damage over time from exposure to chemicals. The shaft measures 14 inches high and has a scalloped design that improves flexibility as you work. The insoles are cushioned and provide firm arch support. They’re also removable. The Trac10 outsole has angled cleats to help prevent slipping. A strong steel toe inside the boots protects from impact injuries. The main purpose of landscaping work boots is to keep your feet safe. Depending on what type of landscaping you’re doing, you may encounter thorny vegetation, sharp rocks, and a number of other obstacles. 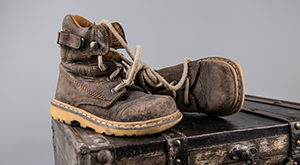 Work boots are typically made out of tough leather that can withstand some wear and tear. Soles are thick and may utilize metal shields to ensure that stray nails or pointed sticks don’t pierce your feet. 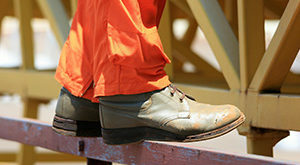 A quality pair of work boots allows you to work confidently without having to constantly second guess your every step. Comfort is often overlooked by many workers. It’s not uncommon for guys to forgo comfort features for shoes that offer the most safety. While safety is important, comfort is equally so. Long hours on your feet, climbing in and out of trenches, and walking through uneven terrain can wreak havoc on your feet. Without proper comfort features and support, the impact of every step is causing serious damage to your muscles and bones. Over time, these issues accumulate. Your feet will feel fatigued much quicker and the effects of the job will follow you for years to come. Work boots ensure that your feet stay comfortable throughout the work day. They often feature heavy padding, gel insoles, and firm arch support. Together, the collection of comfort features work to keep your feet healthy so that you can perform at your very best. Footwear is only effective if it allows you to do your job efficiently. Boots designed for landscapers have the protection and comfort to help you tackle a variety of different types of projects. Durable materials and careful construction help to ensure that moisture and grime don’t affect the way you walk and work. Many boots also feature soles that can help you move around more efficiently. They can grip onto the earth so that you can avoid injury and operate equipment safely. 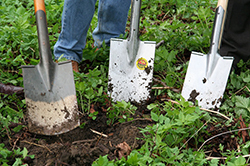 There are a number of unique features that set landscaping work boots apart from standard options. Normal boots won’t cut it when you’re dealing with wet environments and dangerous equipment. It’s best to look out for features that keep you safe and comfortable for your particular work environment. The entire boots should be clad in a material that’s capable of keeping your feet protected from abrasive damage. The rough grit of concrete and thorny bushes can easily tear through thinner materials. Leather and thick rubber hold up nicely to the obstacles you may face. High-quality leathers may even prevent injuries from sharp blades. If you’re working in an area that may contain nails or other sharp objects, it’s good to go with a sole that’s puncture resistant. These soles feature a thin plate of metal that stops even the strongest hazard from making contact with the bottom of your feet. If that’s not something you need to worry about, you should still go with an option that has a thick rubber sole. There’s nothing worse than having to deal with wet socks as you work. Not only can moisture in your boot cause you to slip and fall, but it can also lead to painful blisters and foul odors. It’s important to go with boots that have water-resistance features to ensure that you can work in a variety of conditions. While you may not work in the rain, you still need protection from morning dew, damp soil, and wet construction products like concrete. Go with shoes that are made from leather. The material is naturally resistant to moisture damage and can be repeatedly treated to maintain that protection. Also, pay attention to the overall build of the uppers. Make sure that the boots are sealed tight and don’t contain large holes where water can get in. Look out for boots that have Goodyear welt or strong cement on the sole. Another great feature is removable liners. Many boots offer an added layer of protection from moisture that can be removed, cleaned, and replaced when needed. Linings may be made from a variety of low-maintenance materials. Some even have anti-microbial treatments applied to help prevent the growth of bacteria. 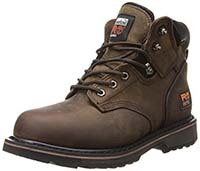 When you’re working with heavy-duty equipment, trees, or large blocks of concrete, you need to invest in boots with extra protection. Accidentally kicking hard materials or having a heavy object fall from above can lead to lasting injuries. Manufacturers often include shields and caps to prevent fractures and crush injuries on the delicate bones of your foot. Toe caps are built right into the tip of the shoe. They cover all of your toes effectively without being obtrusive. They can be made from a hard composite material or steel. You’ll want to choose the exact material based on your work site. If you’re working around electrical equipment, always go with composite caps to ensure that you don’t get electrocuted. Metatarsal guards are similar to toe caps. 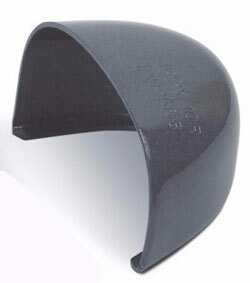 Thin pieces of steel or composite cover the upper part of the foot to keep you protected from rolling objects. You’ll never know where your job may take you, so it’s recommended that you have a boot that’s prepared to tackle any type of terrain. 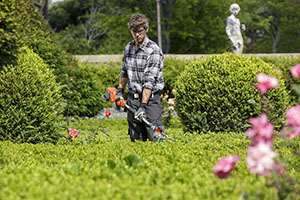 Typically, landscapers work on uneven ground that’s covered in soft soil, rocks, and vegetation. There are a few different ways that landscaping shoes help to keep you upright. Shanks can provide you with arch support. Made from steel, composite material, or fiberglass, the shank is built directly into the sole. It ensures that the bottom of your foot doesn’t buckle. Your arch will stay firm no matter how bumpy the ground is. Ankle support is also recommended to ensure that uneven terrain doesn’t cause you to twist your ankle. Shanks help to provide a bit of extra ankle support, but a taller shaft will give you optimal protection. Shafts should extend above the ankle to keep it aligned with your feet. Directional lugs are another feature that helps to prevent you from falling. Large lugs are placed on the bottom of the sole and work to grab the ground. They can get you through soft soil, sand, and leaves without any problems. They’re also beneficial on slick surfaces. Unique designs work to redirect water away from key points on your foot so that you can walk safely on surfaces that are covered in water or oil. Always pay attention to the inside of boots to see what they can offer you in terms of comfort. The best options will feature plenty of cushions and padding. The insole should be soft and springy. This helps to absorb some of the force of impact as you walk so that it doesn’t travel up your leg. The midsole should be raised and contoured to follow the anatomical shape of the feet. This helps to support your arch and avoid overpronation or supination. It’s important to work efficiently without sacrificing comfort and safety. The best way to do that is to invest in quality work boots that are designed to suit your specific needs. With the right pair of boots, you’ll be prepared to deal with whatever obstacles you may face on the job.